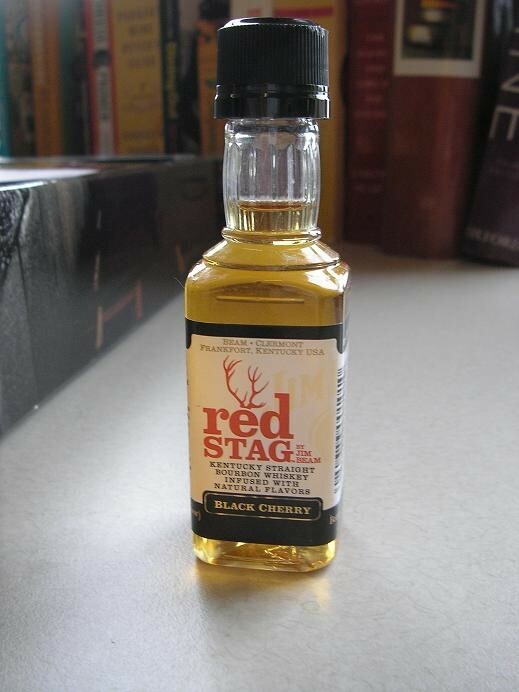 When Jim Beam e-mailed Gut Check International Headquarters to ask if I would be interested in trying its new Red Stag black cherry-infused bourbon, I said, "You had us at Jim Beam." Because, frankly, after the week I just had, I'm drinking heavily. 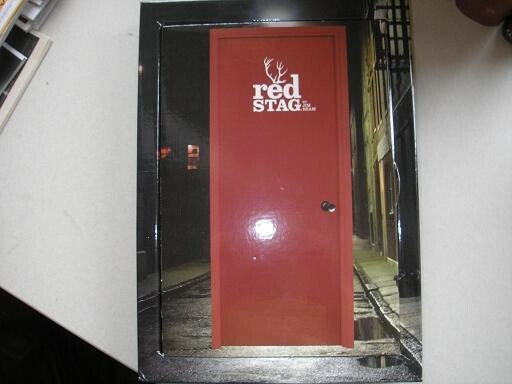 To my surprise, what arrived was the box pictured below. I'd guesstimate that it measures 12 inches wide by 16 inches tall by 4 inches deep. What would I find inside? Sadly, it wasn't a full bottle of bourbon. 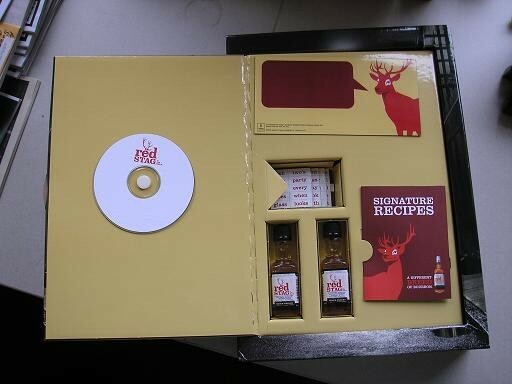 Instead, I received two miniatures of Red Stag, the obligatory media disc, a recipe booklet and...deer-themed magnetic poetry? First, the bourbon. I twisted off the cap and took a whiff. Children's cough syrup, pure and simple. Wow. I waited a second and took a second sniff. 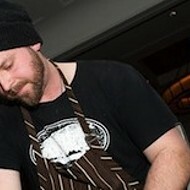 Now I could smell the bourbon -- though the cherry scent was still strong. The flavor was more balanced. You probably won't mistake this for regular Jim Beam, but you won't mistake it for the kiddie Robitussin, either. Does the world need this product? I don't know. I'll probably stick to the regular stuff, but I'm always surprised by what catches on these days. Like, Bud Light Lime. The world definitely doesn't need that crap, but I can't watch two innings of a ballgame without seeing an ad for it. 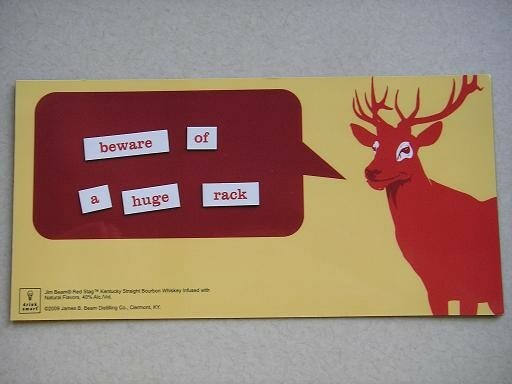 Does the world need deer-themed magnetic poetry?